With so many valves available for use in pressurised irrigation systems, choosing the right one can be difficult. 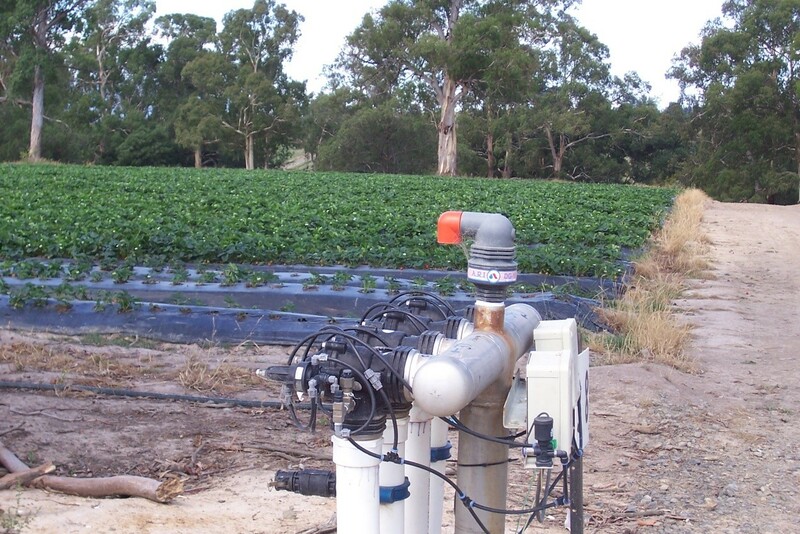 A well-chosen valve can make all the difference in Australian farming – forming a proven solution that enhances cost efficiency, labour, and installation in a variety of irrigation applications. 100 series Electric Pressure Reduction valve. 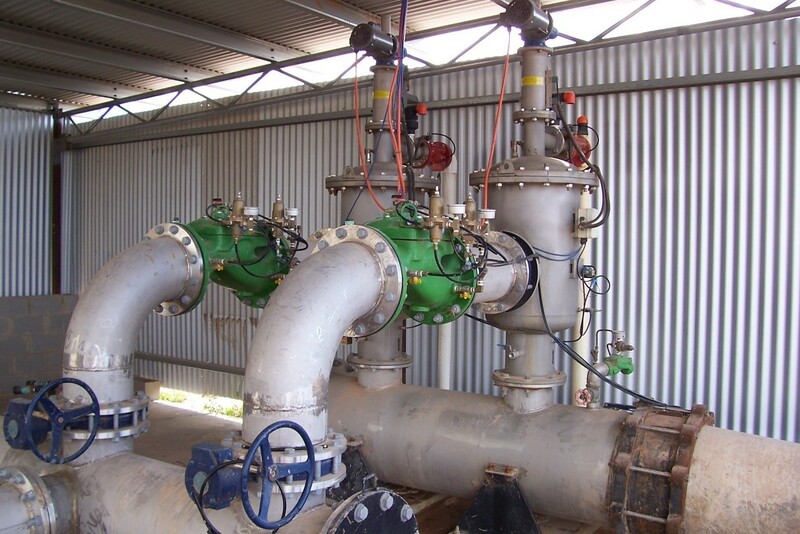 Control valves are an integral feature of most irrigation applications. Valve design indicates its application – whether that be as an irrigation valve, sprinkler valve, solenoid valve or lawn valve. Typically, valves are used to switch on and off and at the same time to regulate downstream pressure. This is in order to achieve the best watering profile – whether being used in drip irrigation, sprinkler or flood irrigation. With so many valves available for use in pressurised irrigation systems, choosing the right one can be difficult. 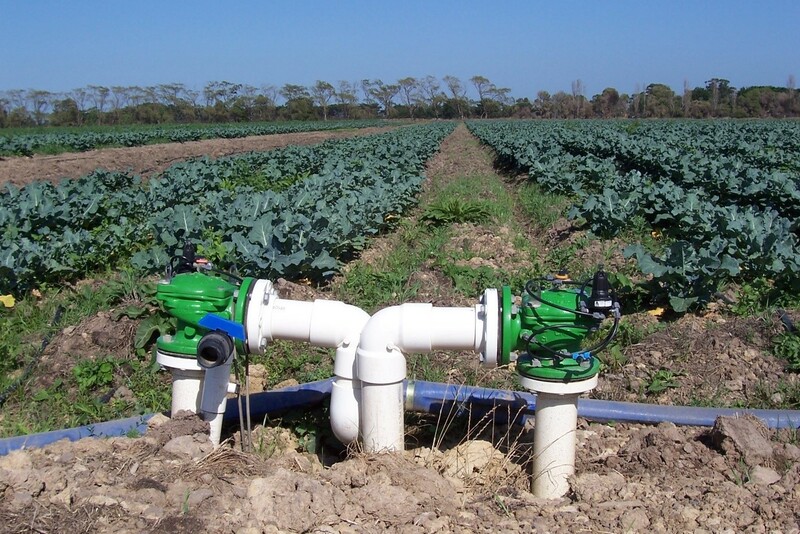 A well-chosen valve can make all the difference in Australian farming – forming a proven solution that enhances cost efficiency, labour, and installation in a variety of irrigation applications. As the design characteristics of each control valve are developed to address specific circumstances, the unique design properties of each valve should be considered when making your decision. The standard design allows valves to switch on and off and at the same time regulate the downstream water pressure. Whether you are using the valve for drip irrigation, sprinkler or flood irrigation – there is an option to suit your needs. The required pressure to control low pressure non compensated drip tape usually ranges between 8 – 12m. Accurate control means greater performance of the drip tape along the full length of the run. The servo pilot has a low operating spring range to give accurate regulation from 5m – 30m. The servo pilot with the 3/2 operation makes the valve extremely accurate in regulating non compensated drip line. The 100 series and 400 series are excellent valves for high differential applications. They are also stable at low operating pressures. 120 series valves operating in tape irrigation. During the irrigation season, the inlet pressure to field valves vary considerably. This is due to the changing number of blocks being irrigated throughout the season. The most common irrigation systems divide an area into different blocks depending on topography. The water requirement for each block is often different. For example, blocks in lower areas receive more water due to the force of gravity – and require less pressure than blocks located uphill. To cater for multiple combinations, valves should incorporate a pressure reduction function. This ensures that regardless of irrigation shifts, there is always a constant delivery of pressure to the crops. The Bermad 120 series and Bermad 420 series valves are ideally suited for these applications. They have the ability to regulate constant downstream pressure, and if required, fully open to minimise any head loss. Head loss refers to the pressure drop (caused by friction), as liquid travels through a water system. Head loss represents the loss of pressure due to system orientation. Minimising head loss is relevant for maximum shift irrigation and can optimise the efficiency of your system. Bermad 420 series valves in crop irrigation. Valves used in pump stations usually control flow and pressure. The valves operate from the start of the network in conjunction with automatic fillers. Valves for these applications need to be strong, robust, fast acting and reliable. For over 25 years, the 400 series valves have proven themselves around Australia. They are the go-to valves for long term performance. To learn more about the operation, watch the below animation of Bermad valves working in a filter station. You can also watch our animation of Bermad valves protecting a pump station and drip line. Pressure reducing for main line control. Pressure sustaining to protect pumps from cavitation and to keep pressure in filters during back wash.
Pressure reduction and sustaining to control pipeline, filter and irrigation system. Pressure relief for protection against over pressured conditions on small irrigation shifts with fixed speed pumps. Bermad 423 valves in filter station. For more technical instructions for valve installation, additional information on the Bermad 120 series, the Bermad 420 series or any other associated Bermad product, please visit www.bermad.com.au, or contact your nearest sales officer for further advice on choosing the best valve for your irrigation system. We live to provide unbeatable water management solutions and could talk to you for hours about them, but we also understand that every situation is different. We expect that you may need to do your own research and due diligence before selecting one of our products. Please do not use the information we provide about these products as formal engineering advice. This information is created solely to help you make the decision that’s right for you. If you have any questions, just ask us. We’re here to help.